I can only assume the druid who lives here has both excellent balance and doesn’t tend to stomp around. The Maestro gives us this updated version of an older creation, showing significant growth in their building style. 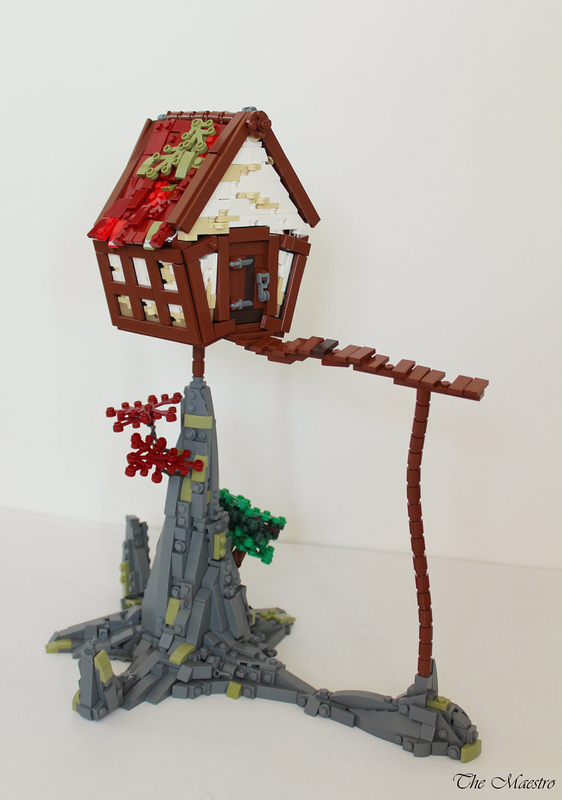 This version features excellent rock-work and a very precariously perched cottage. I’m frankly impressed this stayed upright long enough to photograph it. The wall texture is particularly lovely, using a combination of hinged plates and 1×1 round plates creating a pock-marked, uneven surface giving this little cottage plenty of character.